What's that fat little bugger doing to my leg? The month of July gets its name from the birthday of Gaius Julius Caesar. Fair enough. But what about August? This one always baffled me. 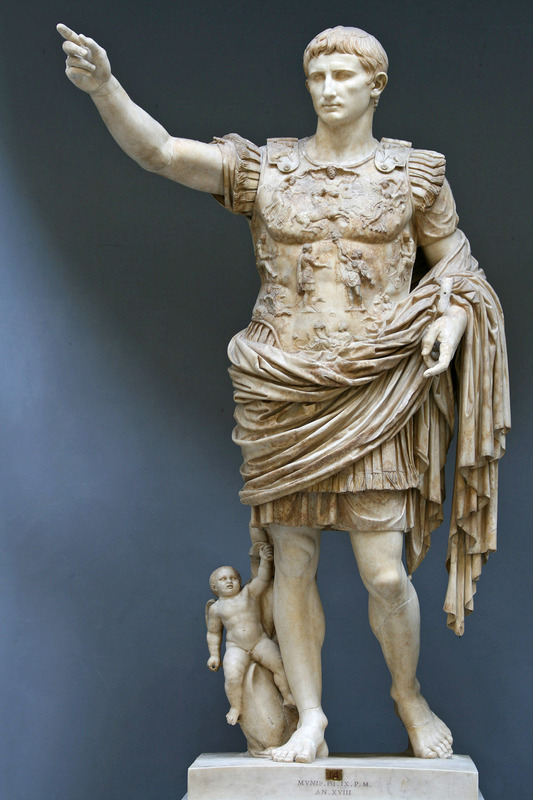 Octavian, who was Caesar’s grand-nephew and adopted son (as everybody discovered to great surprise when reading Caesar’s will), and who would be the future Emperor Augustus was born in September, not August. September was also when, in 31 BC, Octavian defeated Antony and Cleopatra at the sea battle of Actium, thus ending the long civil wars and, in effect, the Roman republic, and installing himself as princeps. Before long he would be “Imperator Caesar Divi Filius Augustus”, or “Commander Caesar, son of god, the Illustrious.” I have asked my wife to address me in this fashion and eagerly await her reply. So why the month before September? Well, I just found out, while still reading about Cleopatra, whom I have just made a minor character in one chapter of my book. As it turns out, it had everything to do with Cleopatra. It took Octavian a good year to consolidate his gains after Actium, and he only showed up at Cleo’s capital of Alexandria–you guessed it by now–on August 1 of the following year. A few icy gestures later, and Antony had shoved a sword into his abdomen, while Cleopatra injected herself with the venom of a snake–Virgil says “two asps”–or perhaps a comb. That was not yet all, however. Cleopatra had had a son with Caesar, nicknamed Caesarion (“little Caesar”) and he was the one man alive who might compete with Octavian in claiming to be Caesar’s heir. Cleo had sent him running as soon as Octavian was approaching, but Octavian’s thugs caught up with him. No more Caesarion. 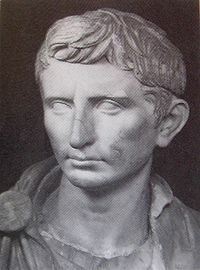 So August was a big month for Octavian, which is why, when he became Augustus, he named it after himself. Now that I know how these things work, I’m going to try to do something, oh, next November or so. Kluthy. Kluthust. Kluthember. Details to be announced.